Clean eating is healthy eating - keep this recipe as pure as possible by using local balsamic and honey for the perfect combination of tangy and sweet. And only 66 calories! 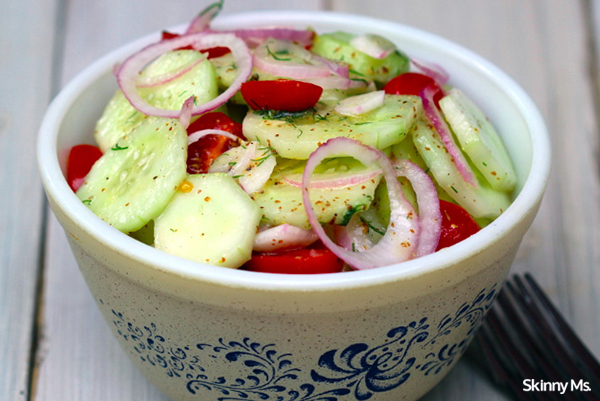 In a large salad bowl combine cucumbers, tomatoes and onion. Whisk together the remaining ingredients and pour over cucumber mix, toss to coat. Serve immediately.